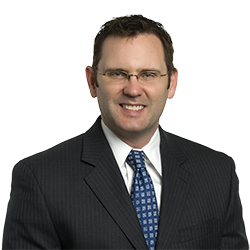 J. Christopher Anderson | Littler Mendelson P.C. J. Christopher Anderson counsels business clients on general employment matters and assists them with workplace investigations, disciplinary actions, employee handbooks, employment policies, and terminations. He also advises clients on compliance with state and federal employment law including the Fair Labor Standards Act, the Family Medical Leave Act, and Federal Motor Carrier Safety regulations. Chris is also an active trial lawyer. He defends businesses against employment claims and has handled wage and hour, discrimination, non-compete, and retaliatory discharge cases in both state and federal courts. He also assists clients with OFCCP audits and claims with the Equal Employment Opportunity Commission and comparable state agencies. Can You Require That Employees Attend Social Functions? Are You Ready for Overhaul of Overtime? Whistleblowing in Tennessee: Does It Matter Who Hears the Whistle?